The ATSC 3.0 testing station in Cleveland is getting some international help with the deployment of France-based ENENSYS’ ATSCheduler – ATSC 3.0 Broadcast Gateway. The ATSCheduler runs at a station or central headend to encapsulate the IP streams stemming from various HEVC encoders that deliver the compressed audio-visual content over ROUTE or MMTP protocols and from the non-real-time server generating the signaling information and the interactive applications. The system outputs the resulting ATSC-compliant multiplex using the Studio to Transmitter Link protocol through IP. The use of ATSCheduler enables the creation of advanced on-air architecture, including MultiPLP and Layered Division Multiplexing, which gives it the ability to target different receivers and provide levels of service like mobile and 4K/UHD fixed reception. ENENSYS runs the ATSCheduler in its HDc chassis, which can embed up to 6x ATSCheduler modules in 1U; the same chassis can output up to six STLTP streams over IP. 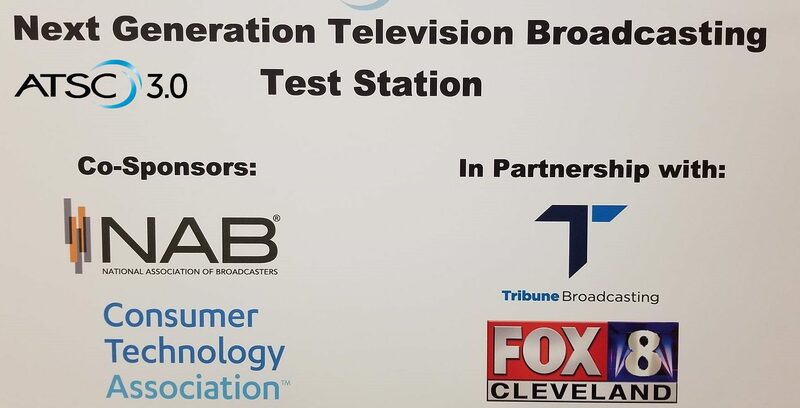 The real-world test station, which is owned by Tribune Broadcasting’s WJW-TV, is testing ATSC 3.0 broadcasting under an experimental FCC broadcast license.